Shant Bashian has been a Volkswagen guy, thru and thru, for nearly his entire adult life. And sure he’ll help you get the best deal possible on one, but perhaps more importantly, he’ll detail from his own experience what makes every VW special. He’ll point out the very little things that make the biggest difference when it comes to what’s referred to as the ‘fit and finish’ of a vehicle. In this iDriveSoCal Podcast, we profile Ontario VW’s newest team member. 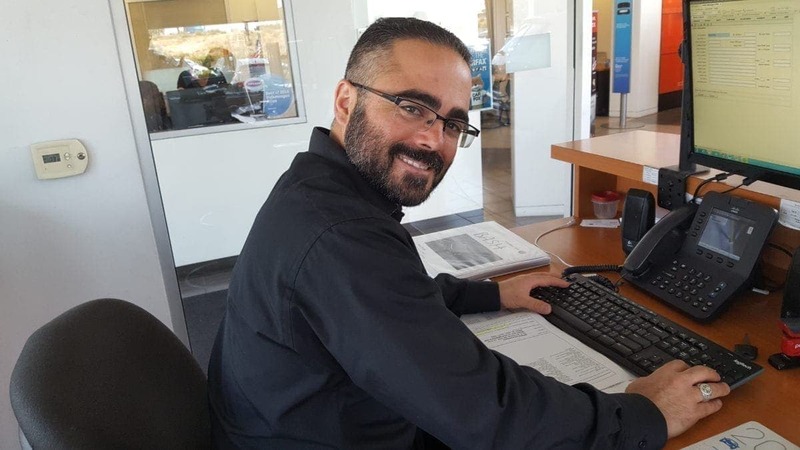 Formerly of both Puente Hills and Pasadena Volkswagen; Shant shares his love or the VW brand and why he chose Ontario VW as his new home. And Shant is highly accessible – you can call him on his cell any time: 626-710-6455, or email him SBashian [at] OntarioVW [dot] com. He loves meeting new customers that inevitably become his friends. Click play below to hear the details from Shant himself! Shant Bashian: I’ve had three Touaregs, two Jettas, one Passat, two CCs. And, just recently in September, I surprised my wife by replacing our Touareg with a 2018 Atlas. Volkswagen has always been softer rubber materials on the dash, the doors, the buttons of the windows, the way they feel, the material. It makes all the difference. These are the little things that VW looks at, but it brings out the quality. When you drive a Volkswagen, and you drive a different brand vehicle, you definitely immediately feel the difference. 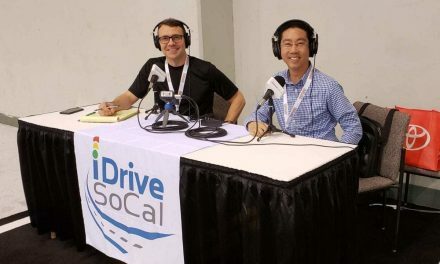 Tom Smith: Welcome to iDriveSoCal the podcast, all about mobility from the automotive capital of the United States, southern California. Tom Smith here, out in the Los Angeles suburb of Ontario, California at our good friends, Ontario Volkswagen. 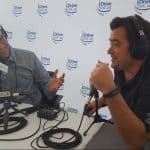 And, joining me for this iDriveSoCal podcast is the newest team member of Ontario Volkswagen, Sales Manager Shant Bashian. Tom Smith: Welcome to Ontario Volkswagen, and thank you for joining me for the iDriveSoCal podcast. Shant Bashian: Thank you for having me, it’s a pleasure. Tom Smith: Ontario Volkswagen’s a fantastic partner of iDriveSoCal, and Shant is a fantastic VW guy, has been a long time here in southern California. Previously at a couple of other Volkswagen stores, Volkswagen Pasadena, as well as Volkswagen Puente Hills. So I know the team here is very excited to have you, and again, welcome. Shant Bashian: Thank you. I’m excited to be here. Tom Smith: So why don’t… What we wanna do with this podcast is really let people know, this is a profile of you, right, dealer people. 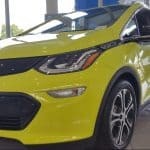 Car buying, quite honestly … You’ve been a buyer, right? Tom Smith: Before being in the business. Shant Bashian: Oh, yeah. Absolutely. I’ve walked into dealers. Tom Smith: Yeah, and so you know having worn that hat, it can be a scary proposition, it can be anxiety filled. Ontario Volkswagen, as well as everybody that we work with at iDriveSoCal, we’re all about kind of pulling down those walls, pulling down those barriers and creating that level of comfort. Let’s talk a little bit about your background in the automotive business. I know that your first entry into the automotive business was actually on the service side, which is pretty interesting. Shant Bashian: You can say throughout the midway in my career because I went through 13 years in sales, then I tried service for several months. So I wanted to experience the service side, and I’m glad I did, I learned a lot back there. Tom Smith: You know, I think, this is my personal perception, but also as a consumer, I buy a car… And I work with dealers, so I’m a little bit different. But, I buy a car, and all consumers, they buy, and they do a lot of research. They work with a salesperson for a handful of hours, but then they work with the service adviser for years. So let’s talk a little bit about what brought you, your steps before coming to Ontario Volkswagen. I know you wanna let all of your former customers from the other stores that you are now here. 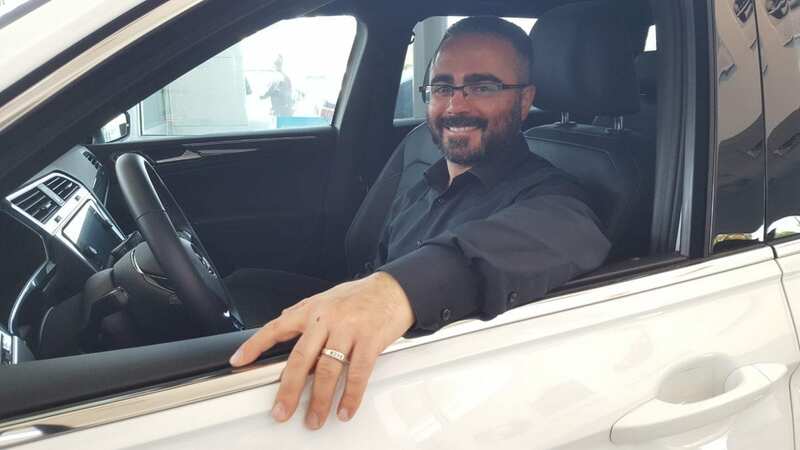 Shant Bashian: I think it is important that they do know I’m here, because having a relationship with someone business-wise at a dealership, it’s helpful. It really is, because there’s a level of trust, and you get to know someone for a while, and you can count on them. So if you need another vehicle, if your kids need a vehicle, if God forsake you make have totaled the vehicle for whatever reason, the car buying experience can be overwhelming. But, when you know someone, they’ve treated you fairly, and you keep going back to that same person, that’s really who I am. That’s why I’ve stuck with Volkswagen, 16 years now. Four years at Pasadena Volkswagen, I’ve been at Puente Hills eight years, and that was a long commitment. But, I have a lot of good followers, I’ve made a lot of friends, I’m made friends, people I’ve gone mountain biking with that have bought cars from me, gone to many sushi dinners with that have bought cars from me. It becomes a relationship. So I do want people to know that I am in Ontario because you can lose touch with some people. People get new cell phones, email addresses, things happen in life. So I’m at Ontario Volkswagen, I started here just earlier in August. I’m very happy to be here, it’s a great team, and we’re gonna do well over here. Tom Smith: So you are not only a long-term Volkswagen professional but also a Volkswagen driver yourself? Shant Bashian: I am. I’ve had, I’ll tell you exactly, my first car was a 2003 Volkswagen Passat. My father helped me co-sign for that vehicle. I drove the car for about a year, and then I leased myself a 2005 Volkswagen Touareg, which I had been eyeballing. Shant Drives what he Sells – VW through and through! And plus, I come from a backcountry world, and I love four-wheel driving and camping, and Volkswagen had told me that’s the best off-road car on the planet. So I had to put that name to the test. So I’ve had three Touaregs, two Jettas, one Passat, two CCs. And, just recently in September, I surprised my wife by replacing our Touareg with a 2018 Atlas, to help transport our four-year-old and our six-year-old to school and back. Plus, it was time for her to get a new car anyway. 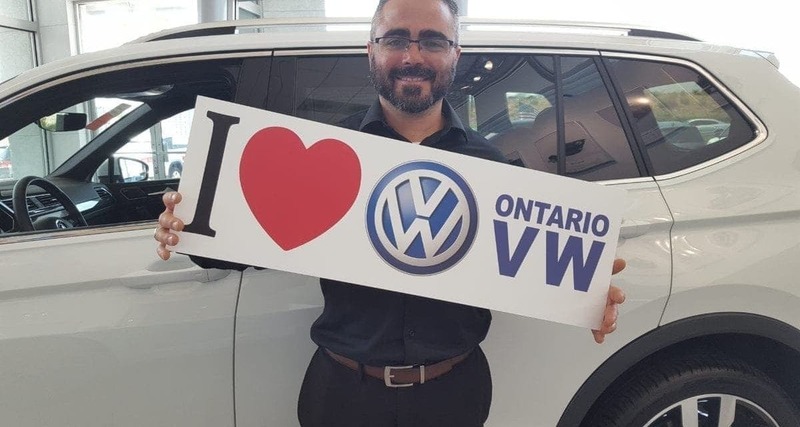 We love Ontario VW too! Shant Bashian: Yeah, I’ve had some VWs in my life. I had the Jetta, 2005 Volkswagen Jetta, I sold that, 180,000 miles on the odometer, and the only thing I’ve ever done to that car was probably replaced brake pads, rotors, tires. I think the trunk latch went out one time, for 180,000 miles, I’m good. No problem. And the Touareg I got rid of at 135,000 miles, the same engine as the Atlas has, 3.6. I love that vehicle. But, I needed that third row. Tom Smith: Uh-huh (affirmative). So did your passion for Volkswagen bring you to Volkswagen professional? Shant Bashian: Not even close. Tom Smith: Or, did your professional Volkswagen experience bring you to Volkswagen? Shant Bashian: My professional Volkswagen experience made me a Volkswagen driver, believer, and I stuck with the brand. You know, I did sell Honda for one year. Volkswagen, we sell, you can say anywhere from 60 to 100 new cars, depending on the location. When you look at volume-wise, the entire world knows if you go to Japanese like Toyota and Honda, they sell 400, 500 cars plus. Shant Bashian: So I wanted to experience that, and I did. I worked for Penske Honda for one year in 2008. But, selling Hondas was not as exciting for me as selling Volkswagens, because when I would demonstrate a Volkswagen product, I would point out all the little things, all the differences that make a Volkswagen a Volkswagen. And, I had to come back, I just had to come back. Tom Smith: I just did a podcast with Jimmy Willhide, who’s one of the Service Directors here at Ontario Volkswagen. I believe he has eight Volkswagens currently. Tom Smith: We were talking about Volkswagen, you and I were talking about this as well off mic, just kind of the value overall, but specifically the fit and finish of a Volkswagen product. To me, they just pay attention to detail at a level that is significantly higher than the price would suggest. Shant Bashian: I call that, not just me, but it’s quality over quantity. Volkswagen has always been softer rubber materials on the dash, the doors, the buttons of the windows, the way they feel, the material. It makes all the difference. The gap in between the doors, you have 3.5-millimeter gaps all the way across top to bottom, all the panels match. These are the little things that VW looks at, but it brings out the quality. So we don’t look at selling 18 million cars in one year, we look at how that car’s going to look, the design. Now, when I say we, I really feel like I’m part of Volkswagen, but I’m definitely not the designer, of course, I just sell them. But, I just speak of we, because I feel like I belong to VW for some reason. When you drive a Volkswagen, and you drive a different brand vehicle, if it’s a non-German brand, you definitely immediately feel the difference. Just driving on the freeway in Southern California, go on the 60 Freeway. This is a local podcast, right? Shant Bashian: 60 Freeway, Interstate 10. How many semi trucks in the morning? In the right lane alone, within a mile, you probably have 35 semi trucks. Try driving past those semi trucks at 70 miles an hour in a Volkswagen. By the way, people, don’t speed, the limit is 65, versus a non-German product, you pass that semi truck doing 65, you’ll feel your vehicle being kind of pushed to the side a little bit by that wind resistance. And Volkswagen doesn’t have that, because the aerodynamics, the weight of the vehicle, the weight of the material, it all comes into play, and that’s what they design. It’s quality. 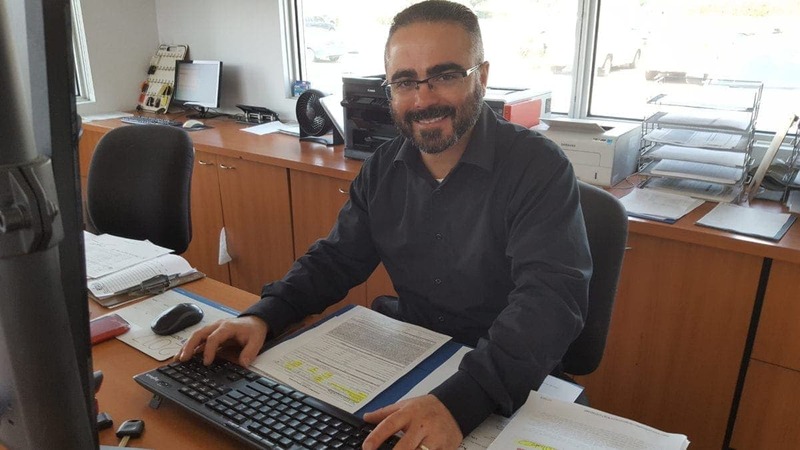 Tom Smith: Shant, you already dropped the family life to a certain degree, but when you’re not here at Ontario Volkswagen and helping current and future customers, what are you doing? Obviously, spending time with your family. Shant Bashian: I’m swimming with my kids, I’m wrestling with my kids, letting them beat me up. I am cooking, I love cooking. My wife and I both cook, but when I have time off, I like to cook for her, and I prepare all kinds of meals for her, different flavors and spices. Shant Bashian: And she loves it, or I believe she does. I do a lot of that, again, I’m a big time outdoorsman. Hiking for me, take my kid’s hiking, let them get used to the outdoors life, especially nowadays with all the electronics. It feels like everyone’s on their phones and iPads and whatnot. Shant Bashian: We leave everything at home. I give them two hiking sticks, even the four-year-old when he was three, “Let’s go,” take them out, let them walk through the woods. “Let’s climb the tree.” People don’t climb trees anymore. So I still do that kind of stuff. Mountain biking, camping, four-wheel driving, a lot of outdoors stuff and activities. Tom Smith: All right, fantastic. Anything else you’d like to add before we kind of wrap this up? Shant Bashian: Come on out to Ontario Volkswagen. I gotta tell you, I love this auto mall. Test drives around here, there’s really no traffic. It’s a very spacious auto mall. If you need to shop from one vehicle to another, you literally just drive just right next to the other store. Shant Bashian hard at work and always ready to help! Shant Bashian: So it makes things a lot easier for people too, to come out here. Tom Smith: …and phone number here? Shant Bashian: I do. My phone number is very public, so anyone is welcome to use it. It is 626-710-6455. 626-710-6455, I always say it twice, it’s a habit. Tom Smith: One more time, slowly. I usually do that the same way, but the second one I really deliberately slow down. Shant Bashian: So it’ll be 626-710-6455. It has a ring to it. Shant Bashian: And then email, email is simple, SBashian [at] OntarioVW [dot] com, same person, same services, different location. Just get with me and we’ll get that vehicle delivered to your house at a great deal, same as we’ve always done. Tom Smith: Fantastic. Well, Shant, thank you so much for joining me. Thank you and the Ontario Volkswagen team for being a great partner of iDriveSoCal, and I look forward to working with you a lot on various pieces, podcasts that we create to really educate and inform, and help people make the best buying decisions that they can. Shant Bashian: Thanks, everyone for joining, and thanks for having me. Tom Smith: All right. Thanks. 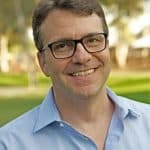 For iDriveSoCal, I’m Tom Smith, thank you for listening.